EVERYTHING I KNOW ABOUT THE HEALING BENEFITS OF IMAGERY...I LEARNED FROM CAROL ROGNE. Imagery is the basic use of our imaginations to daydream or actively THINK ourselves into a better reality. For example, it you look at my Meditation- how to guide, you will see that I use imagery to imagine a white light full of healing and GOD's love filling up my body, taking away all ailments, leaving me feeling energized, focused, and healthy. Carol actually has a CD available that will walk you through this process. 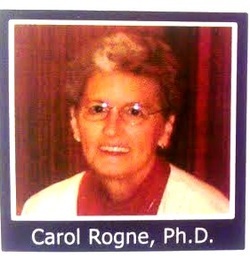 Feel free to check out her website at http://www.carolrogne.com/books-recordings/visualize-a-healthy-you/. You can see Carol at the Holistic Expo, April 21-22nd at the Civic Center, Fargo, ND. We will be at booth #213!